Girls Are Powerful – Inspirational Posters. 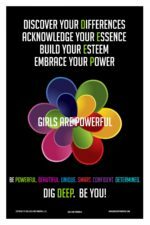 Created to encourage girls to Dig Deep and BE themselves. It’s all about figuring out who they are and owning it! Be You. 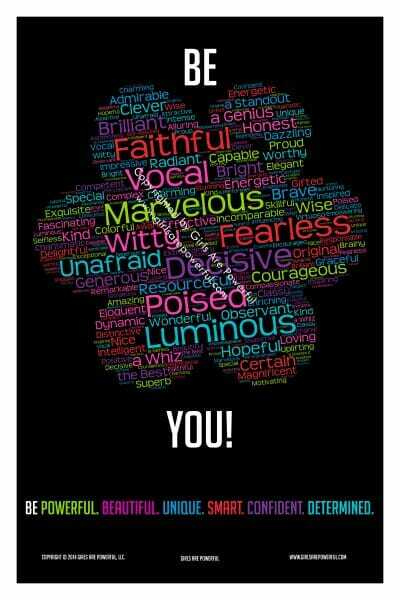 Word cloud with inspirational / powerful words. 12″x18″ Poster on Xerox 100lb High Quality Silk Text Paper – durable.